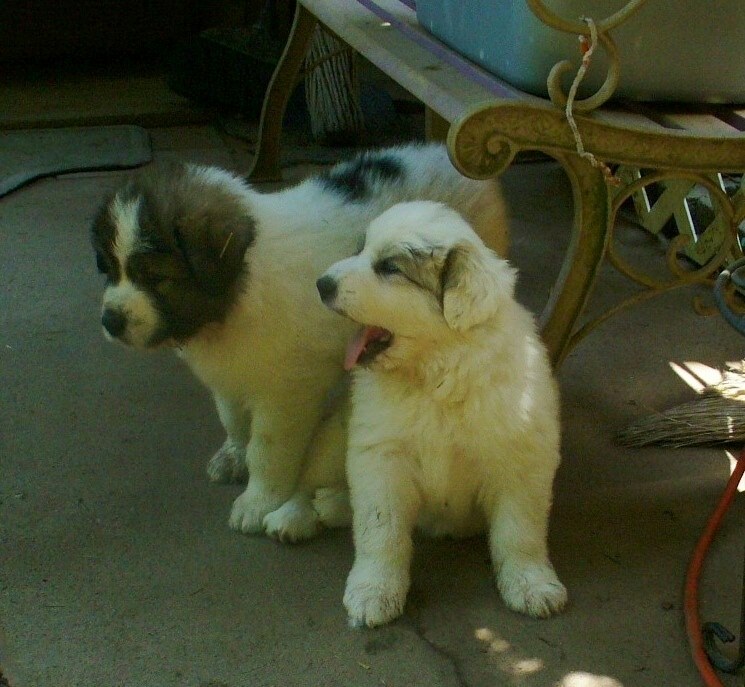 The first in a series of our experiences with the ever popular Livestock Guardian Dog. 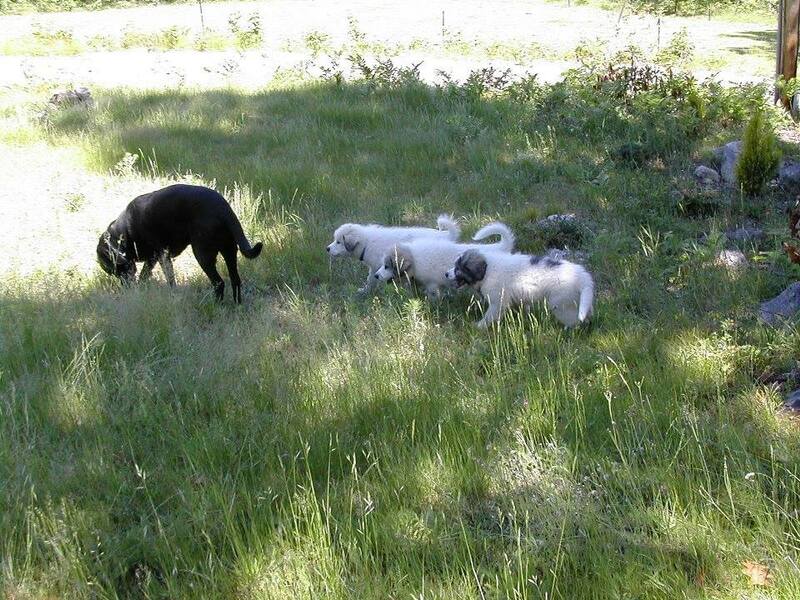 Why would you have Livestock Guardian Dogs on a Small Family Farm? Is it really necessary and what purpose do they serve? We have two dogs that live on our farm. Not only do they live on our farm, but they work on our farm as well. They have a purpose. Not only do they fulfill their purpose, but they have taught us much and helped us move forward in the idea that every animal on our farm must have a job. The beginning…Back before we even claimed to have a farm, I used to sit at a desk job. Part of my duties included being on the internet. I was afforded a lot of time to see how different websites worked and I took full advantage. One day as I glanced through a popular farming site, I started reading about Livestock Guardian Dogs or LGD’s as they are called by all of the cool kids. So from here on out, I am going to refer to them as LGD’s, well…because I’m cool and there are fewer keystrokes involved! A what kind of dog? Now keep in mind, we at this point barely considered ourselves farmers. Yes, we had a couple of cows and a handful of laying hens, but that was it. Oh yes, and a little garden for two in the summer. But for some reason…I thought, “Wow! These LGD’s sound amazing and like something that we should have!” At the time, we already had our Black Lab who was well into his adult years. As I did more research, I became more impressed with this group of dog. A LGD is a group, much like the hunting group, the sporting group, the wear a coat and ride in your mom’s purse group. Ha! Just seeing if you were still paying attention. There are many different breeds that make up the LGD group. And please don’t get them confused with a “guard dog”. Two completely different kinds of dog. Back to the story. So as I sit at my desk job, with barely a farm and already a dog; I convince myself that we need a LGD. What is the next logical step? Yes…educate the farmer on LGD’s and see if he thinks we need one. We a frugal people. Our trusty full blooded Black Lab was free. Every other dog either one of us had ever owned was free. LGD’s, not so much! So I thought that a LGD that I had to pay good money for was a good idea? This is where some puppy dog eyes may or may not have come into play. Pardon the pun. I just choose to remember it and say that the farmer loves me. So when I told him that there was a lady I met online , whose dogs were having puppies and the price was “XYZ”, he said yes. Not only did he say yes, but we had to drive to New York state to get said puppy. He really loves me! Over the course of the next couple of months, I talked with the lady in New York via email, weekly at the least, often daily. As she told me about her two LGD’s, the male and female who were the proud parents to be, I also continued researching Livestock Guardian Dogs in general. Their temperament, their ability, their character traits, how they work and how they don’t work. And one day…I discovered that they work very well in pairs. Pairs!! That means two right? Oh, yes they work better in pairs they say. So, onward to the farmer with this most recent bit of education. I don’t really think he was buying it at first. But after I explained all that I had been reading AND that this amazing woman in New York was willing to barter for a days worth of work from us for two dogs, the whole thing sounded more logical. (And he loves me remember) We have strong backs and a trip to New York State in a rough old Jeep Wrangler sounds like a fun adventure! As the time drew closer to the date to go get the puppies our new found friend in New York would send pictures and tell us how they were progressing. She told us about all of the other people who were purchasing pups and one other young man who she was battering with that would work alongside us on our pick up day. Our pups…Oh my word! The cutest, fluffy balls of fun you have ever seen. They were going to be so smart, so useful. Oh, did I mention that there was another lady who live up Maine that was getting two of the pups and she wondered if we could bring them back with us? Four huge pups, one rough Jeep Wrangler and two Mainers all on a 8 hour road trip. Sure! We’ll do it! He loves me remember? So we did. And this woman and her family were wonderful. She and her family treated us like royalty. They fed us, there was a lot of socializing, some polka music. It was genuinely a wonderful day. I can guarantee we got the better end of the deal. And although we don’t email very often anymore, almost 5 years later, but do stay in touch. I do and always will consider her a friend. 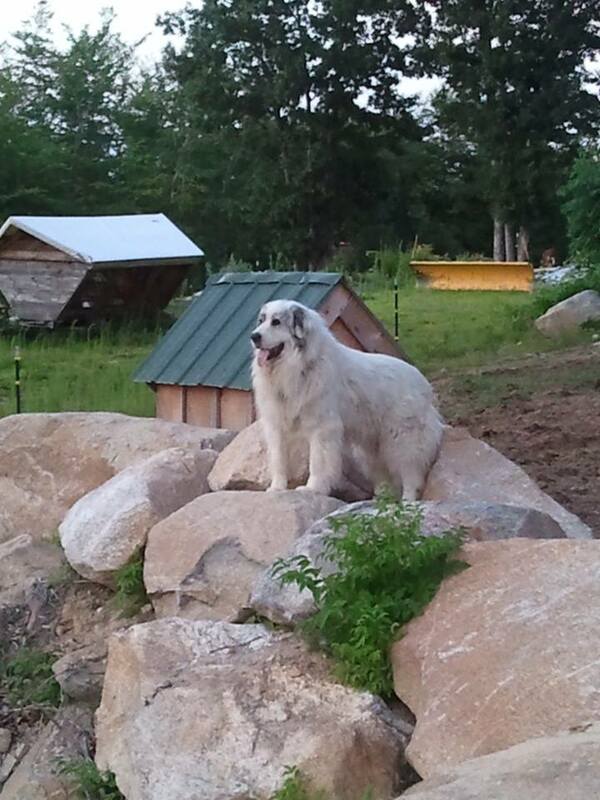 After all, she is the one that made it possible to have a Livestock Guardian Dog on our Small Family Farm! This experience has taught us much. More than we could ever imagine. More than one blog post could hold. Be on the lookout as we periodically share about our experience with our LGD’s, how they have grown, what they have added to our farm and some of the different things they have taught us. It may save you some heartache or it may give you a glimpse into a future worker on your farm! I searching for LGDs here in Tool, Texas. We have a small goat farm. Please let me know where I might purchase a couple of the fantastic animals you have. and the name of the breed. I have many other questions, but if you will let me know if you can help me, This is a start.